2. 5 blocchi alla spiaggia! Tutto quello che puoi pensare è a casa tua! Un'ora e mezza da Boston, HYANNIS è la parte più attiva del Capo. Molto da fare, pioggia o sole! Per lo più brillano! Passeggiata a ristoranti, minigolf, Ben e Jerry's, boutique, musei e la Cape Cod Railroad. E 'tutto a Hyannis. Partenza per il film, centro commerciale, e il golf. A piedi un miglio a Kennedy Complex e Tour Cape Cod Potato Chip Factory. Cammina otto blocchi al porto di Hyannis per Nantucket e Martha Vineyard traghetti, o andare su una barca da pesca, avvistamento di balene, o Pirate Ship. Tutto ciò che E LA SPIAGGIA, Keyes Beach, si trova a soli due isolati di distanza. Acqua più calda sul Capo. Questa casa è anche a soli dieci isolati a Kalmus Beach, che è famosa per il windsurf. Sedie a sdraio, giocattoli da spiaggia e teli da mare sono tutti lì. Seggiolone, porta-culla, e carro per due. Tavolo da biliardo converte in air hockey e ping pong. Giochi, libri, giocattoli, e video per i bambini e adulti. Animali non ammessi, No Smoking. Basta portare CAPPELLI, creme solari, e costumi da bagno. Parole chiave: Casa con AC giocattoli, TUTTO! Perfect for family with younger children! My 18 month old grandson LOVED the basement full of toys. Large fenced in yard with more toys. And the fisher price wagon that we used to pull him to the beach was a big hit. Quiet neighborhood. Unexpected touch was the newspaper delivered daily! Spotless inside! House really does have everything you need. Well equipped kitchen including rice maker! Very comfortable furniture. Large picnic table outside. We did bring our own pack and play (there is a crib, & toddler bed upstairs), and it easily fit between the twin beds on the first floor. Each bathroom has a tub, but we couldn't get the drain stopper to work in the first floor tub so bath time was at the upstairs bathroom. Outside shower was also convenient and worked great! Walked to Keyes beach and used the parking pass at Craigville beach. Walk to ferry, about 3/4 mile. I can not think of a single item we needed and didn't find at the house! Perfect house, perfect location, and not sure how Joanne arraigned it, but we also had perfect weather! We had two families stay here in July and couldn't have been more pleased. Each family had two boys under the age of 5 and they were non-stop the entire time as there was so much for them to do. The house was perfectly equipped with everything needed so it was nice to not have to pack as much. There was tons of toys for the kids and the stroller availability was nice to have as well as the umbrellas and chairs for the beach. The parking pass was provided but you can easily get to the beach in ten minutes on foot. The outdoor shower was awesome and utilized all week. The water was hot and the pressure was great. Beds were comfortable and there's an AC in every room. House and landscaping is well maintained and sits on a quiet street. We lucked out and had PERFECT weather all week were there. I would highly recommend and we will definitely be back! Great house close to beach and Hyannis Main Street. Lots of toys for kids. Nice yard and picnic table. What a great vacation home to stay at - as first time visitors to the Cape, this place was ideal. 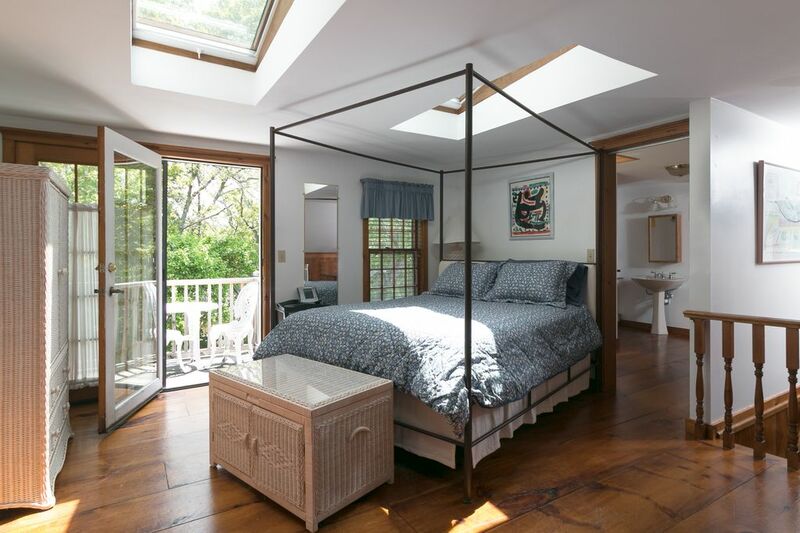 Hyannis is central, the house is very close to the beach, Main St and the harbor and when Joanne says it has everything, she's right - from the games, pool table, beach chairs, and beach parking pass to the plentiful beds and outdoor seating. Thank you for sharing this gem of a house. This was a perfect house for our stay. our group consisted of 2 families with 3 little ones between us and they had everything you could think of to keep them entertained. The master bedroom is HUGE and the outdoor patio was great to spend our evenings and grill out. It is close to Hyannis main st and you can walk to the beach. Joanne was great in providing us all the information and we truly did not need to carry much for our stay. My one small complaint would be the small kitchen area. We also would have loved some basic supplies like sugar, coffee etc. But honestly because the weather was great throughout, we spent quite a bit of time outside and got all the grocery supplies needed from the many stores nearby! Overall a great stay and will definitely be back again. Thanks for the great review. We are so pleased that you enjoyed your stay. We try to provide EVERYTHING any renter could ever want. We were told when we bought the house that it is against the health code laws to provide any type of food. This is the reason we do not provide sugar or coffee. I promise you if we thought we were allowed to provide coffee and sugar , it would be there. As you noticed we are out to please! Glad you will be back! Piccolo Museo Kennedy su Main Street (10 isolati) Kennedy Memorial su Ocean Street. Traghetto per Vinyard di Matha e Nantuket anche su Ocean a circa 1 miglio dalla casa. Anche nelle barche del porto turistico e barche da pesca e nave pirata. Barche di anatra su Main Street.